When you experience tingling or numbness – While this one could literally occur because you’ve been sitting too long, there are a number of other causes that are less appealing. For instance, numbness and tingling could be caused by a herniated disc, a trapped nerve, diabetes or even multiple sclerosis. If you think you’ve been sitting too long, see if standing and exercising properly helps your back; if not see a doctor. When you injure yourself and your back hurts – If you’ve recently had an accident or lifted something that was too heavy, it can seriously harm your back. Chances are, you would have begun to notice problems immediately after said incident. 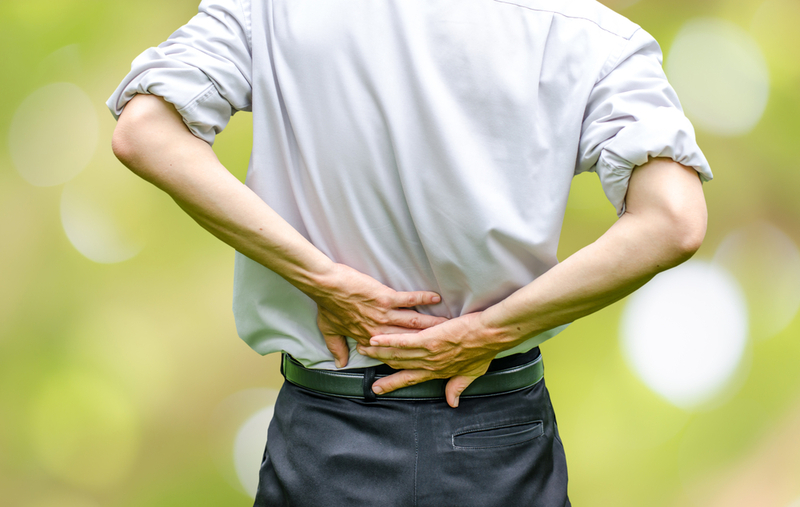 If they seem connected, you’ll need to see a professional to ascertain the amount of damage to your back and how best to treat it, which will really depend on where and how you injured yourself. When the pain doesn’t go away – Back pain that goes away and stays away with the proper rest and bodily care is usually not a problem. However, if you are taking care of yourself (eating right, exercising, sleeping correctly, sitting correctly at work, not lifting heavy objects, not smoking, etc.) and your back still hurts, then there could be a larger problem at work. Consult a doctor to determine whether your back is even the problem or whether it’s a symptom of something else. When the pain is coupled with other serious symptoms – Back pain by itself can be scary enough. Back pain coupled with fever, unnatural and unintentional weight loss, problems urinating, weakness, and leg numbness could indicate a severe and immediately threatening problem – anything from a serious infection to paralyzed nerves that could cause permanent disabilities if left too long. In any of these cases, don’t wait! Consult an expert immediately to ensure that your symptoms don’t worsen and incapacitate you. These are just some of the more serious back pain symptoms that should send you straight to surgeons like J. Kevin Kaufman. Have you experienced any other symptoms? Millions of Americans suffer from back pain. According to the American Academy of Pain Medicine, lower back pain is among the most common types of pain, with frequent back pain affecting over 26 million Americans ages 20 to 64 years old. Back pain can make performing ordinary tasks difficult and excruciating. In fact, this type of pain is the number one cause of disability for Americans under 45 years old. There are a number of different factors that can cause back pain. It’s often a symptom of a disease or condition or spinal injury or trauma. Read on to gain a better understanding of the common causes of back pain. Spinal Stenosis. Spinal stenosis is the abnormal narrowing of the spinal canal and can occur in any spinal region. The narrowing restricts the spinal canal, causing a neurological deficit. While spinal stenosis can be genetic, it primarily develops as a result of aging. Symptoms of spinal stenosis include radiating pain, numbness, weakness, abnormal sensations, and loss of motor control. Spondylolisthesis. Spondylolisthesis is a condition in which the vertebra slides out of place onto the vertebra below it. It typically happens in the lower spine and can cause the pinching of your nerves, resulting in back pain, numbness, and weakness. Traumatic Injury. Accidents, such as a fall, sporting accident or vehicle collision, can lead to a traumatic injury. Traumatic injuries involve the injury of your muscles, tendons and/or ligaments and can result in the compression of the spinal nerves. This can cause severe back pain and even lead to sciatica (see next point). Sciatica. Sciatica is caused by the compression of the sciatic nerve, which moves from your spine to the buttocks and down to the back of your legs. This compression causes burning and shock-line sensations in the lower back, as well as the buttocks and legs, and can occasionally reach the foot. It’s often due to the degeneration of an intervertebral disk and can also be caused by a cyst or tumor applying pressure on the sciatic nerve. These are some common causes of chronic back pain. Contact a spinal neurosurgeon like Dr. J Kevin Kaufman to learn more about back pain and the available treatment options. Did you know that at some point in our lives, 80% of us will experience low back pain of some kind? In fact, a quarter of people will report that they have a symptom of low back pain in the prior three months. Low back pain is a significant problem in the United States because it not only affects the health of so many Americans, but it can have a detrimental effect on the economy as well. Low back pain has been attributed to a significant amount of lost work days and labor hours, and it is a leading cause for work-related disability. Low back pain is one of the most common reasons why Dr. J. Kevin Kaufman sees patients. Any injury to the lower back could produce anything from mild pain to debilitating spasms that affect a patient’s ability to complete normal tasks at work and at home. In fact, according to the National Institute of Health, low back pain actually ranks third behind cardiovascular disease and chronic obstructive pulmonary disease (COPD) for conditions that increase the likelihood of mortality or poor health, making it a major problem (and a very costly problem) for the United States. There are various causes for why low back pain will occur in patients. Unfortunately, one of the most common causes for low back pain is age-related disc degeneration. Over the years, mechanical stress and strain can affect the ability of the discs in your back to cushion the various movements and bends your do every day. Without these discs, the vertebrae would grind against one another, so any lost in integrity of these discs will produce significant pain. In addition to disc degeneration, spinal stenosis, a herniated disk, scoliosis, traumatic injury, and radiculopathy are all common causes of acute and chronic back pain. In many cases, though, low back pain will be caused by some sort of a muscle strain or ligament strain that produces acute pain or reduces flexibility of movement. These strains can cause pain that lasts a few days to even a few weeks or more without proper medical care. You can strain your back at any age from lifting something improperly or making a sudden awkward movement, and an untreated strain can result in worsened and chronic pain down the road. Therefore, it’s important if you begin to experience low back pain of any kind, numbness in the low back or buttock area, or general restriction of movement to speak with a healthcare professional in your area as soon as possible. 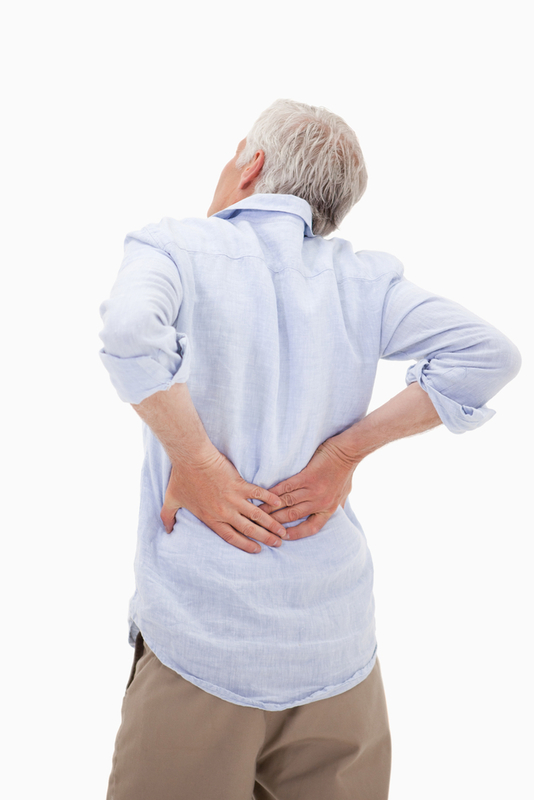 Are you familiar with the term Spinal Osteoarthritis? For many individuals, this term is a bit of a mouthful and most likely not something they hear every day. However, spinal osteoarthritis, or arthritis of the back is a serious issue that many Americans suffer from each day. It is important for people to remain educated on Spinal Osteoarthritis so they know how to manage it not just for themselves if they have it, but for other loved ones as well. Here are 3 things you should know about Spinal Osteoarthritis. Who is at risk? The first thing you are probably wondering is “Am I or another loved on at risk?” It is important to identify who is most at risk for Spinal Osteoarthritis. This medical condition is most common in individuals over the age of 45, however, it can still occur in those younger than 45. Men are typically at a higher risk of developing Spinal Osteoarthritis, especially if they are younger. Overweight individuals and individuals who are active in sports that could add more stress to certain joints are also at a higher risk. The symptoms. Everyone experiences mild back pain at some point of their life. It is completely normal to feel a little bit of pain after being on your feet for a prolonged period of time. However, if you have Spinal Osteoarthritis that pain may be much more severe. Some other symptoms include stiffness in the neck or back, weakness or numbness in arms and legs, and swelling. Individuals may also experience emotional and social issues because severe Spinal Osteoarthritis can hinder their ability to perform daily tasks, which in turn may make the individual feel depressed or isolated. Treatment options. If you think you may have Spinal Osteoarthritis, schedule an appointment with your doctor. Top-notch neurosurgeons such as Dr. J Kevin Kaufman specialize in treating these medical conditions. Your doctor may schedule you to receive X-rays, an MRI, and bloodwork to help determine the diagnosis. The good news is that there are many treatment options available for Spinal Osteoarthritis. Some of the best treatment options include strengthening exercises, maintaining a healthy diet and losing excess weight, and for more severe cases, surgery. Check with your doctor for help in identifying which treatment plan is best for you. Spinal Osteoarthritis is nothing to be afraid of. In fact, it is a common medical condition especially in middle-aged and older Americans. By staying educated on what it is and knowing the signs and symptoms, you will be able to make better decisions about your health and receive a proper diagnosis along with treatment options that will help relieve the back pain of you or a loved one that may currently be suffering. As one of the most innovative and exciting fields in science, stem cell research is brimming with possibilities that could benefit human health and well-being. In what ways might stem cells be able to treat serious health conditions in the future? Scientists believe that stem cells could soon be used to treat cardiovascular diseases like hypertension, stroke, congestive heart failure and coronary heart disease, all of which are highly prevalent in the United States. In fact, someone dies from a cardiovascular disease in the U.S. every 34 seconds. This disease primarily kills the heart’s muscle cells, which in turn limits the heart’s ability to continue pumping effectively. Scientists are currently exploring the potential for embryonic, adult-derived, myoblast, umbilical cord blood and adult bone marrow-derived steam cells to serve as regenerative cardiac muscle cells. Initial human clinical trials, which have primarily been performed during open heart surgery, have demonstrated that cardiac function is improved and capillary creation resumes after the introduction of these steam cells. However, these methods of stem cell introduction don’t reflect uniform purification or application, so the results are somewhat inconclusive as to how widespread implementation could move forward. The first clinical stem cell trial for treating Alzheimer’s disease is currently under way. Scientists hope the human trial will provide a better picture of the extent to which stem cells affect the Alzheimer’s brain and if their introduction could improve cognitive function. Alzheimer’s disease currently affects 5.2 million people in the United States and 44 million people around the world, and causes the death of large amount of neurons in the brain. Individuals with Alzheimer’s disease can experience memory loss, difficulty reasoning, disorientation and the struggle to make decisions, among other symptoms. Animal model testing has already shown that stem cells introduced in the brain are able to improve cognition, but not by replacing neurons. Rather, these stem cells are able to moderate any inflammation, improve remyelination, and provide trophic support. With these functions, the brain becomes healthier and its toxicity is lowered, which could reduce or halt the death of neurons. Researchers are also very close to being able to create human organs. 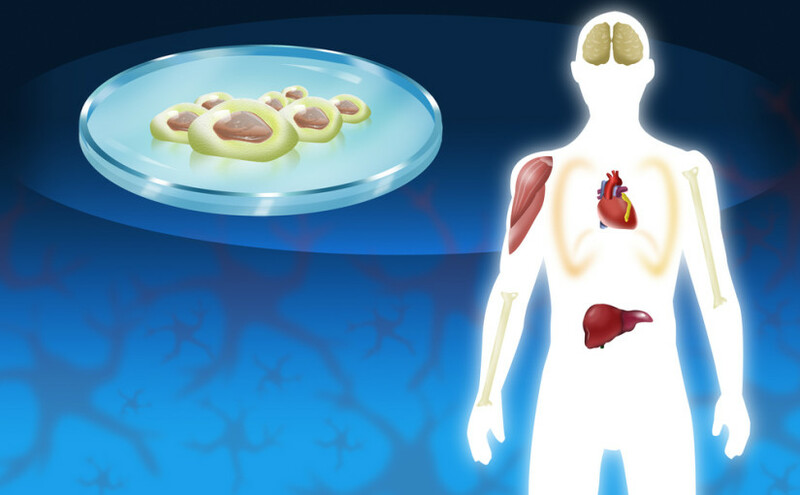 In May of this year it was announced that a new type of stem cell, the region-selective pluripotent stem cell, may have the ability to create any type of tissue, and therefore be the perfect candidate for successful organ creation. This type of cell is also exciting to scientists because it grows far more quickly and stably than the other two types of pluripotent stem cells. Juan Carlos Izpisua Belmonte, the developmental biologist who discovered the region-selective pluripotent stem cell, believes that with gene editing, it may be possible to grow full human organs inside of animals, which could then be harvested and transplanted to humans in need of these organs. While Izpisua Belmonte’ s idea is still in its infancy, the discovery of the region-selective pluripotent stem cell in itself is cause for much hope and expectation. Ultimately, as leading spinal surgeon Dr. J Kevin Kaufman states, it seems as though we’re on the precipice of a significant breakthrough in stem cell research and when—not if—these breakthroughs occur, we can expect unparalleled improvements in medical treatment. Have you ever wondered what it’s like in the daily life of a neurosurgeon? For Doctor J. Kevin Kaufman, a skilled neurosurgeon residing in the Dallas Fort Worth area, it is filled with research writing and procedures when they are scheduled. He has been practicing neurological and complex spine surgery for 15 years in this area and has been studying medicine since the early 90s when he first attended medical school. It’s best if we begin talking about Dr. James Kaufman during his younger years. Dr. Kaufman has been enthralled with science since an early age; he earned his Bachelor of Science in Chemical Engineering from the Rose-Human Institute of Technology in 1987. He then moved to Chicago and worked as an engineer after graduation, but decided he wanted to pursue a career in medicine. Thushe returned to school at West Virginia University for his PHD work in molecular biology from 1989-1990 and then went into the West Virginia School of Medicine from 1990-1994. He graduated wiith highest honors and achieved admittance to the Alpha Ome ga Alpha Honors Society. After graduation he fulfilled his general surgery internship and neurological residency training at the Indiana University School of Medicine in 2000. Since becoming a fully licensed neurosurgeon Dr. James Kaufman has dedicated his life and energy to research in the field and presenting presentations. He’s performed countless spine, peripheral nerve and brain surgeries over the years and has made a name for himself with his minimally invasive microscopic spine surgery. These surgeries have been unique in their use of biological materials, micro discectomies, disc replacement surgery and a wide range of posterior and cervical, lumbar and thoracic surgeries. His passion for this spinal surgery has made it his life’s mission and he has proven himself time after time. Dr. Kaufman has spent a great deal of time writing for this field. His topics have ranged from brain tumors to complex spine and have been published by well-known peer reviewed journals such as the Journal of Neurosurgery and Spine and Surgical Neurology. He even has a few patents for spinal products such as the principle investigator in non-surgical technique for treating various neurological conditions. He has presented his research and tried to spread the knowledge of his field at multiple conferences. He is affiliated with the Neurosurgery Research & education Foundation (NREF), founded in 1980. This organization exists to help support education and research endeavors carried out by neurosurgeons. Dr. James Kaufman is a member of quite a few groups, including but not limited to the North American Spine Society, Tarrant county Medical Society, Texas Association of Neurological Surgeons, Texas Medical Association and more. As science has continued to improve the breakthroughs in neurosurgery have been life altering and Dr. Kaufman has made it his life mission to inform people of what his field can now do for people to help them. As we can clearly see, Dr. Kaufman is truly passionate about his work and has been a tremendously positive force for the field. The potential for human embryonic stem cells is high. The researched happening right now for stem cells is what genetic information spurs them to change from undifferentiated cells into differentiated cells which can form tissues and organs. If scientists can determine how to turn these genes on and off then the ability to treat issues such as burns, heart disease, diabetes, spinal cord injury and more will be unlocked. Scientists are hoping studying the abnormal cell division in cancer or from birth defects hold a clue about how to control this genetic process. The additional challenge to figuring out how to turn on and off cell division is regulating it so that it doesn’t go out of control. Human stem cells are used for testing a plethora of drugs today in order to ensure they are safe before being approved for human consumption. Doctors such as J Kevin Kaufman are excited for what these treatments could mean for helping people with back injuries and other related issues. Right now the human stem cells which are being tested are being injected into lab mice to see if they can provide cell based therapy to issues the mice suffer from. For example, preliminary research indicates if we inject bone marrow stromal cells into a damaged heart it has beneficial effects of helping the heart repair. How and why exactly is still being determined, but these results are promising for the future. A lot needs to happen for scientists to successfully manipulate stem cells and make them work for cell based treatment therapies. First, the stem cells need to be reproducible so they can proliferate into quantities sufficient for treatment. Second, they need to develop the ability to have cells divide into the desired cell types without irregularities or other potential issues. Third, the cells need to survive in the host after they are transplanted so they can take effect and go to work. If the host’s body kills the cells or fights with them then the treatment will fail. Four, the stem cells need to be capable of integrating into the targeted tissue otherwise they won’t have the effect we’re hoping to achieve. Five, we need the cells to keep performing their job for a long time. If the cell treatment only lasts a month then the patient will have return regularly to have new injections of cells and this is not the desired outcome. 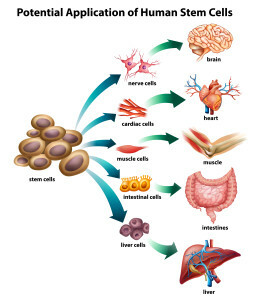 Six, the stem cells cannot harm the patient. The next decade proves to be a very promising one thanks to the advancements in technology and computer processing which allows us to perform more calculations and simulations at greater speeds than ever before.